Is it really only Wednesday? feels like it should be Friday already..if only the weekends were longer and the working week shorter..lol. After humming and haa-ing over this jumper that I bought from Asos a few weeks ago and its boxy cropped shape I havent taken it off! I wear it with high waisted trousers, over dresses and with high waisted skirts..if only it was available in loads of colours I wouldve snapped them all up..
Ive had my hair dyed live xl real red for just a couple of days and its already fading! Ps anyone got any exciting Valentines day plans? Me & Dave are celebrating it the weekend of the 18th up at the North Coast for a couple days..looking forward to walks on the beach, drinking wine and relaxing..fingers crossed it doesnt rain all weekend! I have to say, I'm feeling the opposite! It's ALREADY Wednesday, and I haven't done anything worthwhile, except for a little night out last night, haha. Time is just flying by way to fast lately! Adorable outfit, that jumper is such a striking colour! I wish I could wear blue that well, but it really doesn't do my any good. I love that colour blue, its so vibrant! Im not doing anything for valentines day, think we are going to have a quiet night in. Super cute necklace. I too wish the unions would have fought for at least 3 days off instead of two back in the day...oh well. here's to winning loads of lottery cash! I haven't done anything with my week so far eek! Your necklace is adorable too! Love the colour of the jumper m'dear! Oh I like how you've belted that - looks like a totally different jumper! This week HAD felt so long! I love ASOS! This is excellent on you. I love the bright blue and the belt adds so much to it too. Love the shoes :) Also, yay for glitter tights! Nothing planned for VD unfortunately.. I love your shoes + nails! I hate how quickly red hair dye fades. Your hair still looks lovely with that blue shirt! It seems the weeks are flying past without giving me a chance to catch up!! I used to use the Live XL, always found it faded really quick. Gorgeous skirt, love the print. oh sweetie! i LOVE your dress, belt, shoes, and super cute necklace!!! Love the red hair! Wish I was brave enough... it takes a brave and extremely rad chick to rock it like you do! It looks so wonderful on you. Love the detail of all the different colored nails too! I love the cute bird necklace, it's adorable! I love the beautiful blue of your sweater too. I love this outfit on you the colour looks fab and really suits you. I'm looking forward to seeing your hair, I love the XXL colours but they really fade so quickly. P.S. Thank you for the congrats, I'm so happy today! The jumper is such a fab colour and it looks amazing with your hair colour. I don't have any exciting Valentines plans, I'm a total spinster! This is so cute. I love your necklace. The nails look great. uhm, i fkn LOVE your HAIR color! i was thinking of dying mine that color! 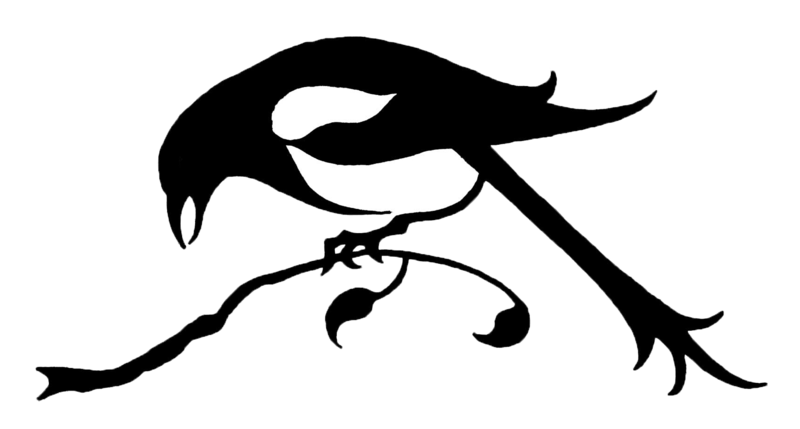 what does magpie meeean? I know what you mean about the xl colour, I'm having to do it at least every week to keep it tip top shape. Try and switch to natural henna - apparently it makes a brighter colour and is completely natural so you can do it as many times as necessary. I love your patterned skirt so so much! It's amazing! I also like your birdie necklace and leather belt. You look beautiful in all your shots. Beautiful outfit! And I love love love your hair colour so gorgeous! I wish I could pull of that red but *sigh* lol it's a rare gem that can! Aww, you've got that Asos jumper! It's on my save for later list..and hopefully I can grab one once my shopping ban is over. And I love that dress on you! love your outfit the necklace is so cute! 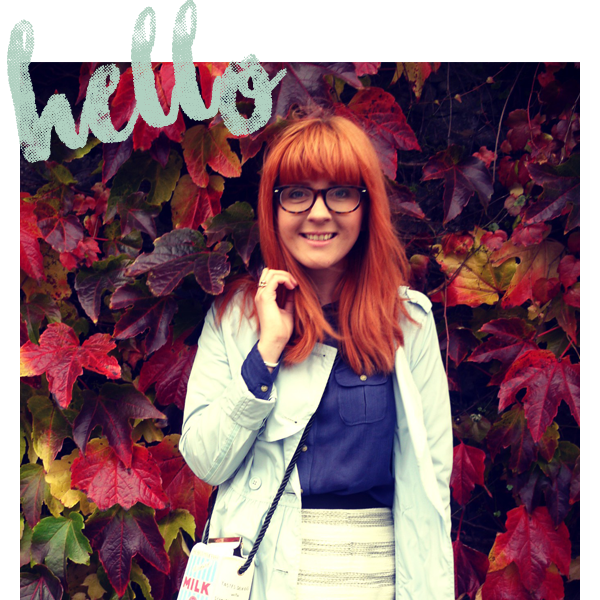 Hey just started followeing, you have a lovely blog! And I LOVE LOVE LOVE your hair, rar I wish mine was that colour + length...like so bad. gorgeous photos! i love the details. all around great look! Love this outfit!! That sweater is a great color. Your nails are the besT! a gorgeous post! you are workin' that sweater and then some. love it! love. this. outfit. SO MUCH.